People-to-people connectivity is an important guarantee for the success of the Belt and Road Initiative. and public welfare and charitable activities are vital links and service platforms for people-to-people connectivity. To advance this connectivity, we should encourage private foundations to take part in and contribute to the initiative. Since charitable organizations, with their inherent affinity, are nonprofit and voluntary, they often find it easier to communicate and interact with social groups with different interests and beliefs in various countries along the Belt and Road. In the construction of the Belt and Road projects, we could help Chinese charitable programs gain wider recognition in these countries. In this process, the government could provide the following five aspects of support. First, it could improve the regulations on foreign aid, which are now being formulated by the China International Development Agency with the participation of relevant charitable organizations. A sound regulatory framework with legal force would provide charitable organizations with rules to follow. Second, establish a South-South charity cooperation platform. We suggest that an earmarked department for liaison with charitable organizations be set up within the China International Development Agency, and that a South-South charity cooperation mechanism be established to facilitate Chinese charitable organizations participation in the foreign aid efforts of the Chinese government. Third, the State Administration of Foreign Exchange should streamline the procedures of appropriation and foreign exchange related to Belt and Road charity activities to enhance efficiency. Fourth, put in place an internationalized compensation system for charitable organizations. We recommend that the Ministry of Civil Affairs and the Ministry of Human Resources and Social Security issue specific guidelines on a compensation system for personnel engaged in Belt and Road charity work. The operation of the compensation system should follow international common practice and be handled by the councils of these charitable organizations. Fifth, preferential tax policies should be introduced. We recommend that the State Taxation Administration should exempt those who work overseas for charitable organizations from paying personal income tax on their salaries while overseas. Challenges and opportunities co-exist for Chinese charitable organizations when engaging in the construction of the Belt and Road, but the challenges are outnumbered by the opportunities. There are various advantages for Chinese charitable organizations to go global. For example, the central government values the role of charitable organizations in social governance and appreciates the importance of cultivating and developing these organizations. A host of new-type of charitable organizations are now rapidly emerging. As long as these organizations observe the Charity Law and commit to the five goals of communicating a philanthropic culture; enhancing the value of public welfare; promoting the competence of professionals; building an internationalized system and contributing to people's livelihoods, they will usher in a new era for China's charitable work by participating in the construction of the Belt and Road. First, we should share China's philanthropic culture with the Belt and Road countries, seek cooperation mechanisms with their charitable organizations and try to cultivate common shared values. and we should also improve the governance structure of charitable organizations, conduct more policy research in this regard, and include the Belt and Road Initiative into the strategic framework of these organizations. Second, publicize the value of Chinese public welfare. For this, we could select a number of outstanding charitable organizations to go onto the global stage to build up awareness of Chinese charity brands; set up a dialogue mechanism between the government and charitable organizations; encourage international exchanges; strengthen training for humanitarian aid and human resources; expand business and accumulate experience on a gradual basis; encourage certain newly-established non-public funds to engage in international charity exchanges and projects cooperation and apply for government support funds. Third, strengthen the competence of professionals. The key link for charitable organizations' engagement in the Belt and Road lies in professional human resources, which entails the overall competence of both those in Chinese organizations and those who work for international partners. Meanwhile, measures have to be taken to improve remuneration for employees and help them resolve the difficulties they may encounter. For this, we should invite those into the engagement who are dedicated, with international vision and familiar with international practice. Fourth, build an internationalized system. For this, we should encourage China-led charitable organizations to register in related Belt and Road countries, support Chinese charitable organizations to join international ones through multilateral and bilateral channels like the United Nations; expand cooperation with famous international philanthropic groups and build exchange mechanisms with both developed and developing countries. The competent organizations could strive to gain consultative status with the UN Economic and Social Council, which will bring more opportunities to involve in international activities. Last but not least, focus on livelihoods. To achieve this, collaboration with foreign private foundations could generate suggestions for policymaking related to the Belt and Road Initiative. and we should build efficient execution teams to make sure that charitable programs deliver, and that the counterpart charitable organizations, the beneficiaries and the local governments are all satisfied. At the same time, we need to confront the real situations we encounter and do more research on the cultural differences in international charity cooperation to seek common development while reserving diversity. 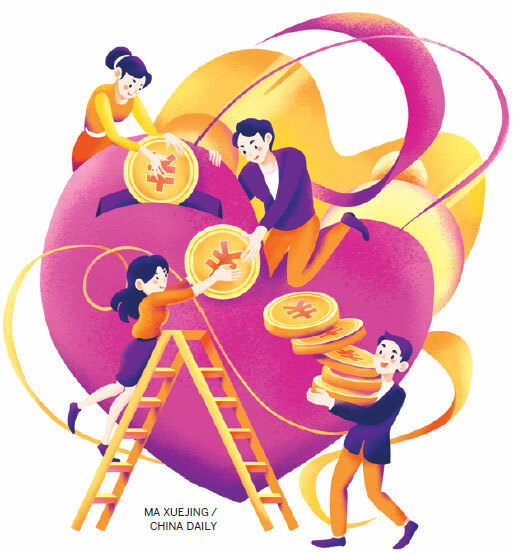 In a nutshell, charity is an important component of the building of a community with a shared future for mankind; charitable organizations are a vital means of promoting the Belt and Road construction as well as people-to-people connectivity. Professional management teams are a vital link in this regard. In the new era, we should promote Chinese philanthropic culture, unleash the vitality of Chinese charitable organizations, create synergies in development and make our charitable work more international to help realize the goals of the Belt and Road Initiative. The author is a professor at and deputy director and professor of the China Global Philanthropy Institute. The author contributed this article to China Watch, a think tank powered by China Daily. The views do not necessarily reflect those of China Daily.